UPDATED: Since the time of the original report, The Los Angeles Times has reported that there isn't a new Predator sequel in the works, but rather that the original Arnold Schwarzenegger film is being converted for Blu-ray 3D. The booth at Comic-Con promoting the new release will both allow fans to pre-order the disk as well as create a likeness of themselves getting their heads ripped off by a Predator - made in a 3D printer. You can find all of the details over at The LA Times site. The original report is below. We've been hearing a lot about a new Terminator movie in the works over the last couple months, but today it's a different formerly-Arnold Schwarzenegger-driven franchise that seems to be getting back up on its feet. As discovered by Coming Soon, the Predators Facebook page (the one from the 2010 Robert Rodriguez-produced reboot) has updated itself with an interesting, vague clue about future plans for the series that suggests that there could be some kind of big announcement made at this year's San Diego Comic-Con. 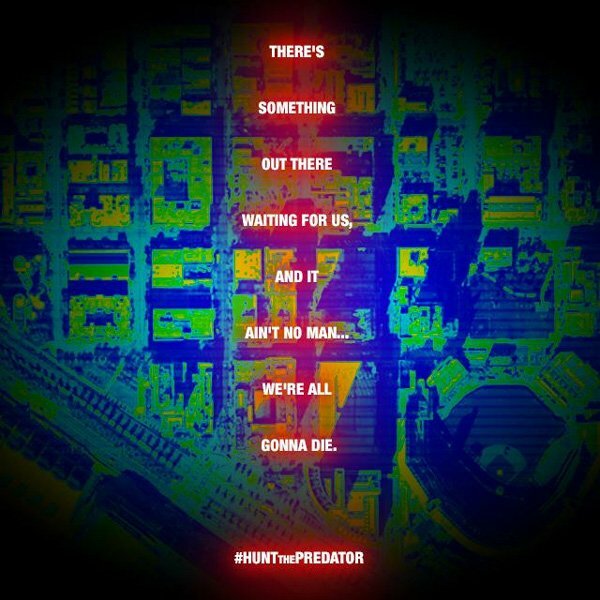 The image you see above was posted earlier with the message "Something is coming… ?#‎HuntthePredator?," while the one you see below was posted with the message "The Predator is coming…?#‎SDCC?." Those familiar with the Southern California region will probably recognize that these are satellite images of San Diego's Bayfront area. What you see in the bottom left-hand corner is a piece of the San Diego Convention Center - where SDCC is hosted - while on the bottom right side of the image you can see Petco Park, the baseball stadium that the San Diego Padres call home. What exactly is being teased here is unclear at this point. Are they announcing a new film - and if so will it be a sequel or a reboot? Or could it be a television show? Or perhaps a video game? If it is a film, it would likely be announced during the 20th Century Fox panel on Saturday. As of now the only confirmed titles set to be a part of the presentation are Bryan Singer's X-Men: Days of Future Past and Matt Reeves' Dawn of the Planet of the Apes, but the movie panels are always filled with big surprises. We already anticipate that we will finally hear some more details about Josh Trank's Fantastic Four reboot, but perhaps a new Predator film is going to be announced as well. An even wilder theory - and yes, I am aware of how out-there this is - is that perhaps Fox is letting Rodriguez do something with the franchise on his upcoming El Rey television network. Rodriguez has always had a big presence at Comic-Con, so it wouldn't be too shocking to see him use the venue to make a big announcement about such a big deal. But there are undoubtedly plenty of rights issues that would need to be sorted out to make it happen, as Fox doesn't have a part in the network, so who knows. It's just a guess.